Tickets are $22 in advance, $27 day of show (including all service charges). Children 12 and under: FREE. Tickets are also available by phone through Hold My Ticket at 505-886-1251. 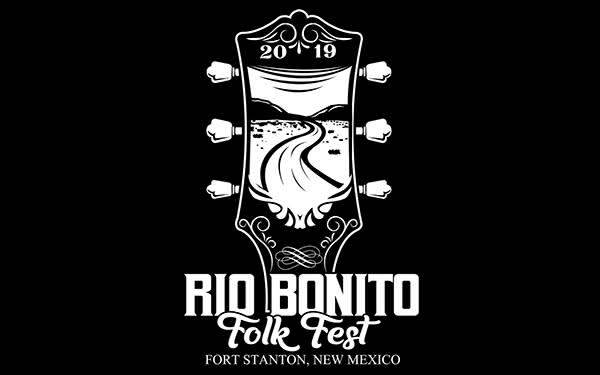 Enjoy a day of live folk music, New Mexico craft beer and wine tastings, regional food vendors, a children's activity area and much more at the beautiful and fascinating Fort Stanton Historic Site, near Lincoln, in eastern New Mexico. Heartfelt, energetic, and down home. Heralded by CMT Edge as "one of the most promising bands on the bluegrass scene," the music of the Nashville-based group The Barefoot Movement is as down to earth as their intention for members of their audience: sit back, relax, take your shoes off, and stay a while. All the worries and frustrations of the world melt away as this charming acoustic band takes listeners back to a simpler place and time. Whether you're seeking emotional ballads or rip-roaring barn-burners, you can expect a collection of music that offers something for everyone. With two full-length albums, an EP of traditional music, several cross-country tours, and appearances at some of the top bluegrass festivals in the United States already under their belt, the possibilities for this act are endless. The group has enjoyed almost non-stop touring, including a trip to Burkina Faso, Africa, where they were guests of the American Embassy. In 2014, they received a Momentum Award, naming them "Band of the Year" by the International Bluegrass Music Association. Lone Piñon is an acoustic conjunto from Northern New Mexico whose music celebrates the diversity and integrity of their region's cultural roots. Using violins, accordion, quinta huapangera, bajo sexto, guitarrón, tololoche and vocals in Spanish, English, Nahuatl, and P'urépecha, the group has revived and updated the Chicano string band style that once flourished in New Mexico, bringing a devoted musicianship to Northern New Mexican polkas and chotes, virtuosic Mexican huapango and son calentano, and classic borderlands conjunto. Higher Ground Bluegrass (HGB) has established itself as New Mexico's premier Bluegrass band. 2018 marked their 20th anniversary as a musical ensemble, which they celebrated with the release of their album HGB20. Performing original material penned by members of the group, the band also plays a variety of traditional and contemporary selections influenced by the American traditions of folk, bluegrass, Celtic, country, and rock 'n roll. Their philosophy remains one of developing dynamic arrangements of their original material, as well as lesser known songs, and adding something new and unique to standard bluegrass tunes to make them their own. With four members providing vocal contributions, the swapping of lead and harmonies offers something new and appealing for each song in their repertoire. The #1 Ceili Band in New Mexico, featuring the award winning Grace Broadhead on fiddle. They play Celtic music to make your feet move! Over the course of almost a decade as a singer/songwriter, Delaney Davis has evolved and developed her unique style, blending elements of soul, folk, blues, and jazz. 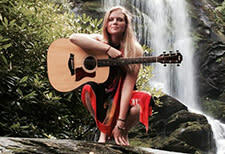 Her beautifully expressive, breathy voice melds with her thoughtfully percussive guitar rhythms. With a constant hunger and love for new music to inspire her, Delaney was also titled an "old soul" at a young age and hence lists some of her greatest influences as Fleetwood Mac, Van Morrison, Tracy Chapman, and Sade. Born and raised in the mountains of the Southwest, the New Mexico native draws much of her inspiration from nature, which is evident in her earthy and organic lyrics. 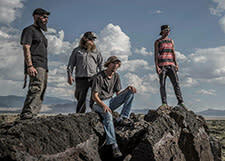 Jones & Miles is a four-piece band from Ruidoso, New Mexico that spans a wide spectrum of genres including Americana, Punk bluegrass, blues, and Irish folk. The group is made up of brothers Tyler and Cody Jones on mandolin and guitar, Chris Miles on upright bass, and Donny Marling on the drums. Jones & Miles was formed in early 2014, beginning as a 3-piece traditional bluegrass band, and has since morphed into what they now refer to as New Mexico Mountain Trash Grass. Few sites in the nation encompass the breadth of history seen at the Fort Stanton Historic Site. Early cultures lived along the Bonito River, leaving behind rich archeological evidence of human occupation. Spanish and Mexican settlers established communities in the nearby area, long before the United States sent the military west to protect settlers journeying to the region from the indigenous Apache Indians who claimed the lands as their own. Named for Captain Henry W. Stanton, the Fort was established in 1855 and operated as a military fortification through 1896. 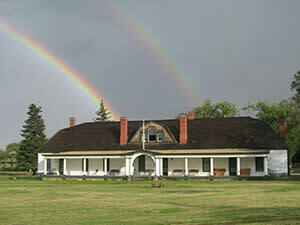 The Fort Stanton Historic Site is a must-see attraction when visiting Lincoln County. Nestled on Highway 220 that bisects the Billy the Kid Scenic Byway, New Mexico's newest historic site features over 155 years of southwestern history ranging from its initial creation as a military garrison to its significance as the first tuberculosis hospital in the state, to an internment camp for German seamen during World War II. The Fort was built along the Bonito River running through the picturesque Capitan Mountains with the Sacramento Mountains—and the beautiful peak of Sierra Blanca—in the easily visible distance. There are few places in the nation that rival the sunsets in this historic and culturally significant area. New Mexico Culture Squared (NMC2) is a NM Department of Cultural Affairs (DCA) project to build and manage partnerships between DCA institutions and cultural organizations that will enhance the impact, effectiveness, attendance, and visitor experience of exhibits and programs of DCA entities. 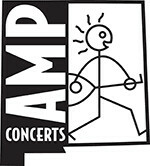 Under the management of AMP Concerts, NMC2 will create programs in collaboration with State Historic Sites, DCA Museums and various cultural organizations with the goal of increasing public programs statewide and promoting New Mexico as a destination for arts and culture.